Hello! And welcome to the 486th Digital Photography Review newsletter. Well, what a week it's been, and it's only Tuesday! We're recovering from a jam-packed day yesterday, shooting live video coverage with our friends at creativeLIVE. You'll find more details below, but suffice to say it was really scary, but a lot of fun. We hope you enjoyed it, but if you missed any or all of the broadcast, you can watch it again from the links provided below. So, as we recover from that, we're focusing again on completing our seasonal product roundup and recommendations content, and pushing hard to complete our full reviews of several products. Let's take a look at some recent content highlights. Phew! Well, we finally did it. Yesterday we broadcast a day of live video, in association with creativeLIVE covering the best of this years' cameras and lenses, as well as sessions exploring practical advice for setting up a home portrait shoot and what types of gear are best suited to various shooting environments. We also included a panel segment, where expert guests joined DPReview editors to discuss current and future technology trends. We've never done anything like this before, but it was a lot of fun. If you missed any of the broadcast, you can watch it again over at creativeLIVE's website. Just follow the links below! The holidays are a great time to take pictures - and they're a great time to get a camera for yourself or for a loved one. With more than 50 cameras going through the hands of the DPReview team over the year, we've seen it all (or so we think). Based on our collective knowledge we've been preparing and publishing a series of roundups covering current gear in all of the major product categories which we hope will help you make an informed decision on which camera will fit your needs. Last week we published the final roundup and you can read all of our content by following the links below. A lot of equipment passes through our Seattle and London offices, everything from high-end cameras to inexpensive accessories. A lot of it gets reviewed, but we can't cover everything. In this series of short articles, DPReview staff will be highlighting their personal standout products of the year. 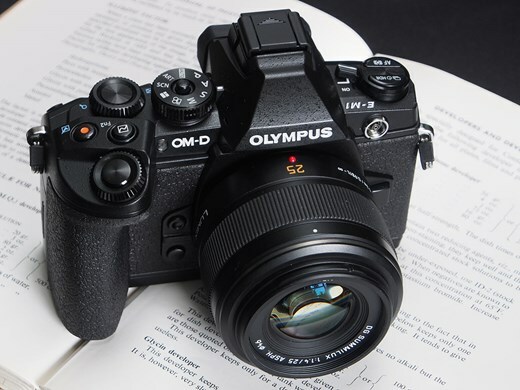 In part 3, Andy Westlake talks about his personal favorite - the Olympus OM-D E-M1. When you buy into a camera system, it can be tempting to only consider lenses of the same make as your camera. But companies such as Sigma, Tamron and Tokina offer some excellent options too. In this article, we're highlighting our pick of stand-out third party lenses. We've chosen them based on their ability to offer something different to the camera manufacturers' own, in terms of either focal length range, maximum aperture, image quality or value. Click through to read all about them. Smartphones are great for casual picture-taking, but they're at their absolute worst in poor lighting, or when using flash. One of the reasons smartphones are so popular is that they're small, but better images don't require enormous cameras, and increasingly, good-quality compacts are shipping with social-friendly options including built-in wireless connectivity. There's a big world out there, just waiting for you to explore it. In our opinion, a camera is one of the best traveling companions you can have. Depending on where you're going, you might have specific priorities. Maybe you're heading to the mountains? Or perhaps you're exploring a city? Or maybe you're doing a round the world tour. Here are our top five recommendations. More product recommendations of course, plus more sample images and test shots from the new Nikon Df, a full review of the Panasonic Lumix DMC-GM1 and plenty more besides. It may be getting close to the end of the year but we're not done yet - keep checking our homepage for plenty of new content as 2013 draws to a close. and as always, please keep your feedback coming. On sale now: Most Nikon DSLR purchases qualify for big savings when you add an eligible lens to build a bundle. Click on the green deals buttons to see what's available. Many popular lenses are on sale, including the 14-24mm F2.8, 24-70mm F2.8, and 70-200mm F2.8. You can even pick multiple lenses (or flashes) to maximize savings and build your perfect kit. Now shipping: Full frame, mirrorless, palm-sized: the Sony A7 has arrived! Available in a kit with FE 28-70mm lens, or pair the body with a new FE 35mm F2.8 lens. We've also begun shipping the bright, zoomy RX10, which is sure to have excellent image quality. Also available, Fujifilm's X-E2! Don't forget that you can add up to 6 XF lenses to your X-E2 purchase and save $100-$250 instantly. Most cameras are delicate objects, and the last thing you want to do is drop them or subject them to wet or freezing conditions. But there are cameras which are specifically designed to handle rough treatment. 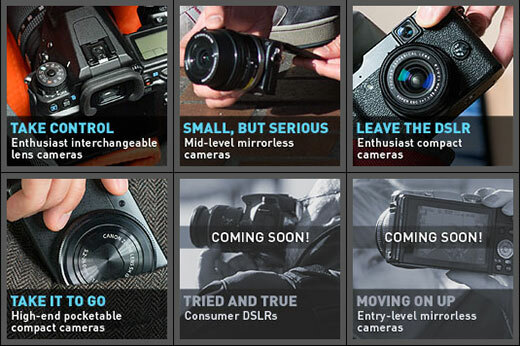 In this list, we've chosen our top five recommendations for tough cameras. Every model in this list can be dropped, soaked, frozen and, in some cases, crushed. Our recommendations cover the entire class, from stylish compacts that can handle the occasional accident to high-end rugged cameras capable of serious image quality. Photographer Saul Leiter has died aged 89. Leiter eluded mainstream fame for most of his life, but his body of work, particularly his experiments in abstract street color studies in the middle years of the 20th Century are a continuing inspiration to new generations of photographers. A shy figure, Leiter is the subject of a new film, 'In No Great Hurry' about his life and work which was recently released. A new app for iOS aims to motivate and inspire photographers by merging assignment-based photography with an optional social media element, all in the palm of your hand. OKDOTHIS offers a wide array of categories, including those created by users, with photo assignments that anyone can participate in. Learn more on connect.dpreview.com. The Nexus 5 is Google’s latest showcase smartphone, bringing with it Android 4.4 (aka KitKat) and some new imaging features. This time around, Google is talking up the Nexus 5’s camera, highlighting its optical image stabilization and revamped HDR mode. We put the phone through its photographic paces to see how it holds up in the real world on connect.dpreview.com. Smartphones are great for casual picture-taking, but they're at their absolute worst in poor lighting, or when using flash. One of the reasons smartphones are so popular is that they're small, but better images don't require enormous cameras, and increasingly, good-quality compacts are shipping with social-friendly options including built-in wireless connectivity. Click through to read our recommendations. 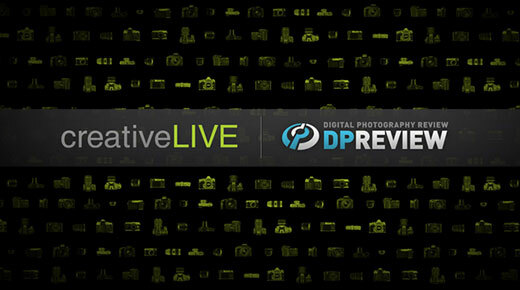 We're very excited to announce a day of live video coverage on Monday December 2nd in partnership with CreativeLIVE. The live stream, which will be broadcast on our homepage will cover product highlights from the past year, as well as live shooting demonstrations and panels discussing the current state of the photography market, and predictions for the future. Click through for more details.